Transparency in accounting and efficient tax planning has become the need of the hour for all companies and business start-ups. Being in the field of financial services for a long time now, DNS Accountants has been working closely with businesses, entrepreneurs, start-ups and individuals to help them in maintaining their finances in an organized manner. Having extensive experience of providing consultation for several companies, DNS understands the business scenario like nobody else. Having served a clientele of more than 1200, we have been the best at what we offer, since 2005. The company has come a long way since its initiation, and the standards and the reputation that we have gained are well noted. Right from offering small business accountants in Northampton to dealing with big agencies, DNS has made its mark everywhere. Our professional team specializes in accounting for business start-ups, tax investigation covers and managing business plans and accounts. Each individual working in the team is exceptionally qualified with degrees from reputed universities and institutions. Along with this, they also hold certifications from the prestigious accounting bodies like CIMA, ACCA, and IPSE. Saving client’s money at each possible opportunity is the main motto of DNS Accountants. 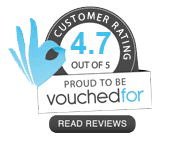 While we work along with you, we ensure that our tax plans comply with the regulations provided by the HMRC. Our timely services enable you to plan your taxes without having to face any issues or penalties. Considered to be one of the largest towns in the United Kingdom, Northampton lies on the banks of River Nene. Being so, Northampton lies in a strategic position, closer to all the business centers in the UK. Shoemaking and leather industry were the two most important industries upon which the economy was based upon previously. Even today, here one can see the oldest shoe-making factories in the region. These factories have now been used up for the purpose of accommodating offices and administrative spaces. Crockett & Jones and Wildsmith Shoes were two main shoe making brands. The years after the war brought about the rise in employment in the Engineering sector. British Timken tapered roller bearing factory gave employment to many and people were taken in as engineering apprentices and trainees. Today, Northampton is famous for its distribution and finance industry. Blacks Leisure Group, Avon Products, Nationwide Building Society, National Grid, Texas Instruments and Carlsberg are some of the prominent private sector companies that are functioning in Northampton. Companies and start-ups require consultation and assistance when it comes to corporate financing, tax planning, and management of existing accounts. DNS helps all types of businesses by providing consultation to these firms at the time of need. 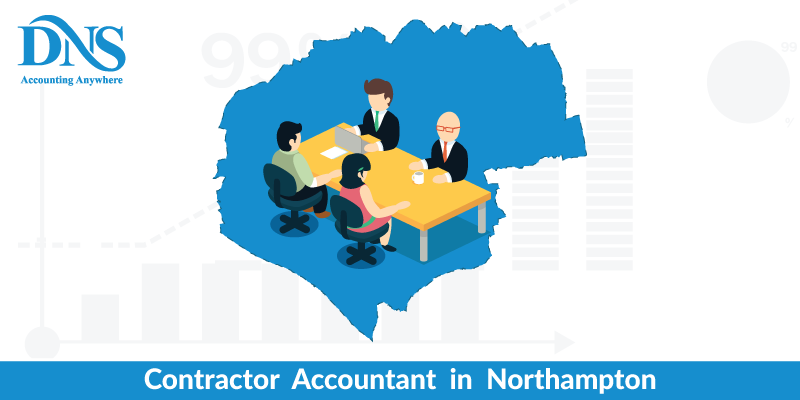 Being well known contractor accountants in Northampton, we have had the honor of serving various companies dealing in diversified businesses. This experience has helped our team in guiding our clients in managing their accounts efficiently. We work closely with the companies and other IT contractors in Northampton to help them manage their accounts and finances. The dedication and the technical prowess of our team have helped us to become trusted advisors to established companies and start-ups that require any type of assistance with their accounts. With a dedicated team of experienced professionals, DNS Accountants has been developing efficient tax plans for the various business, start-ups, and individuals. We believe in creating a balance between the finances of the people and the companies they are associated with. Factoring in all these aspects helps us in providing our clients with an accurate tax report. Our online contractor accountants in Northampton work in close collaboration with the management and develop customized plans for each business. Each business entails a particular set of parameters that might be absent or present in the other. This difference creates the need for custom plans pertaining to the company and its expenses. DNS takes into account all the liabilities, makes provisions for them, and this helps the companies to stay away from issues that arise out of improper tax plans. DNS deals in acquisitions, finance raising, and disposals for all businesses as well. VAT registration cover deals with a single person and not the whole business. This person needs to be registered or must have a legal entity for the business. VAT registration deals with the business activities that have been taken up by the registered person. Each person registered for the VAT would have a registration number that needs to be produced while filing taxes. In case the person is teaming up with one more registered individual for a joint venture, both the entities need to be registered for VAT as a joint venture. DNS Accountants provides the VAT registration covers for the individuals or the joint ventures. This way, we help our clients comply with statutory guidelines and avoid any issues later on. Every registered individual having a separate or a joint venture business needs to register with the HMRC for VAT. The expenses and the business activities that entail the particular person are calculated and taxes are collected. Before moving ahead to paying the taxes, it is necessary to go in for the VAT registration. VAT registration can be done online at the HMRC site. DNS helps in the registration of individuals for this VAT service to avoid any difficulties during registration. We assist in filing the VAT return with the HMRC on client’s behalf and also handle any issues that arise as a consequence. Once the registration is done, we present you the VAT registration number. Since we keep a close track of your activities, we make sure that your VAT returns and payments are made on time. Right from the date of VAT registration, we cover all the responsibilities related to VAT returns and payments. DNS Accountants has been instrumental in providing all types of start-ups and businesses with experienced and highly qualified business accountants in Northampton. Over the years, our services have become diversified and have helped us gain more experience and expand our clientele all over the country. Working closely with start-ups and entrepreneurs has provided us with the knowledge to guide the business for the companies in the right direction. We do not limit our services to Northampton and have been reaching out to other nearby areas like Liverpool, Luton, Northolt, Nottingham, Coventry, Northampton, Milton keynes, Bedford, Bournemouth, and Norwich. DNS has been delivering excellence and values in terms of business planning, corporate financing, and management of funds.